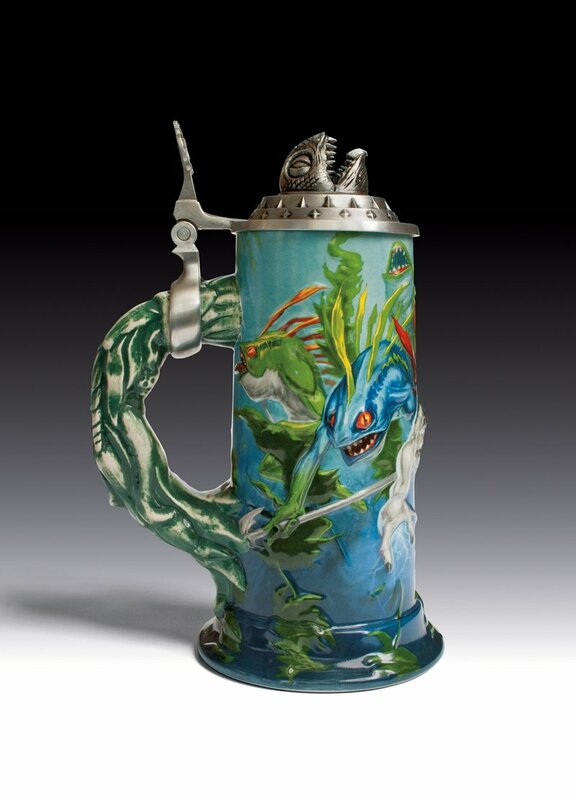 Taverncraft announced a new World of Warcraft stein today. It's called "RAWGRLRLRLRRLGLRL!!!" and it's inspired by the hated fish-people known as the murlocs. The stein's panoramic artwork features numerous breeds of murloc, such as the Winterfin Oracle, Bluefin Murloc and Murloc Tidehunter. The pewter lid is molded in the shape of a murloc head. The 10" stein costs $99.99 to purchase. If you pre-order before midnight on June 13th, you can get it for $10 cheaper. 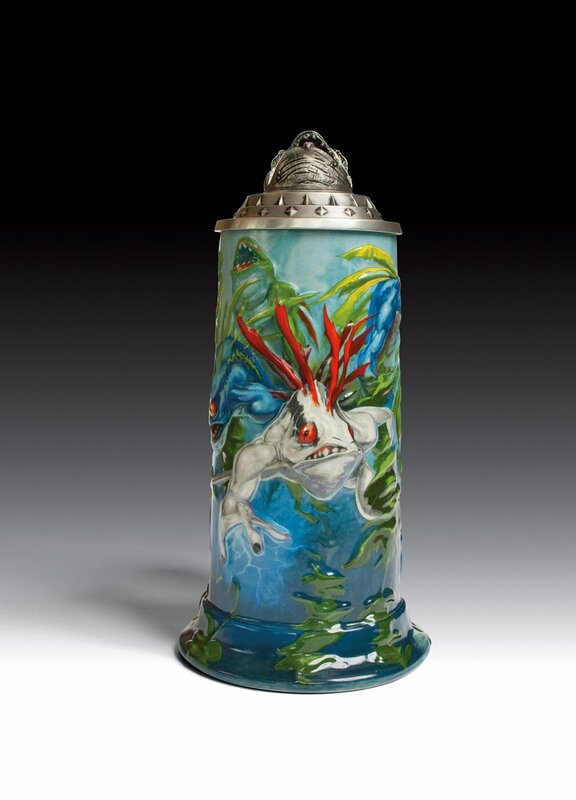 You can check out the full collection of WoW steins released by Taverncraft at their website. Previous releases have been inspired by player factions, Wrath of the Lich King, and the five Dragon Aspects.